Australia’s Senate has voted to repeal the carbon tax, a levy on the biggest polluters passed by the previous Labor government.Prime Minister Tony Abbott, whose Liberal-National coalition beat Labor in an election last year, had made the repeal a central aim of his government. Politicians have been locked in a fierce row about the tax for years. Labor says it helps to combat climate change, but the Liberals claim it penalises legitimate businesses. The Australian Senate voted by 39 to 32 votes to repeal the tax. Introduced in July 2012, it charges the 348 highest polluters A$23 (£13; $22.60) for every tonne of greenhouse gases they produce. Australia is the developed world’s worst polluter per head of population. But critics, including Mr Abbott, said that the tax cost jobs and forced energy prices up. There were widespread protests against the introduction of the tax in Australia and its repeal formed a major part of Mr Abbot’s election manifesto. He says he plans to replace it with a A$2.55bn taxpayer-funded plan under which industries will be paid to reduce emissions and use cleaner energy. His coalition does not hold a majority in the Senate but the repeal went through with the support of senators from mining tycoon Clive Palmer’s Palmer United Party. “Scrapping the carbon tax is a foundation of the government’s economic action strategy,” said Mr Abbott, calling the move “great news for Australian families”. Labor and the Greens voted against the repeal, with Greens leader Christine Milne describing the vote as an “appalling day for Australia”. Labor accused Mr Abbott of “taking Australia backwards while the rest of the world is moving forward”. “All of Australia’s major trading partners are taking serious action on climate change, including in our own region,” opposition leader Bill Shorten said in a statement. He says his party will include a policy to introduce an emissions trading scheme in its campaign for the 2016 election. The Climate Institute think-tank said in a statement that the move left Australia “bereft of credible climate policy”. “What we are left with as potential replacement policy rests on three wobbly legs – a government fund subject to an annual budgetary arm wrestle, uncertain non-binding limits on some company emissions, and a renewable energy target under assault,” it said. 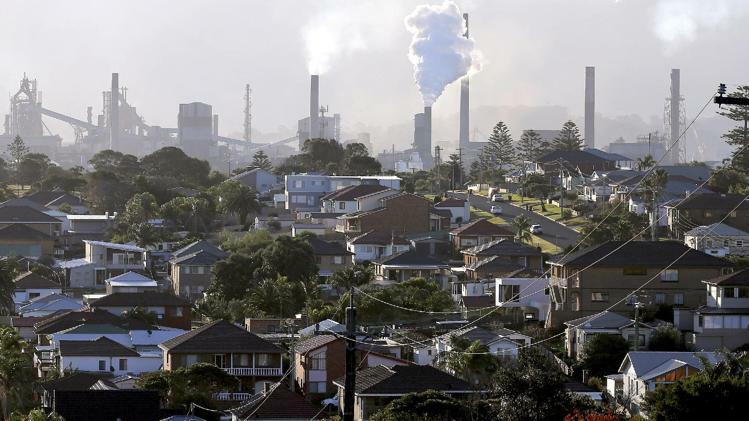 Australia has promised to reduce its emissions levels by 5% on 2000 levels by 2020. A target of obtaining 20% of electricity from renewable sources by 2020 also remains in place, and Mr Palmer has said he will not support its repeal.